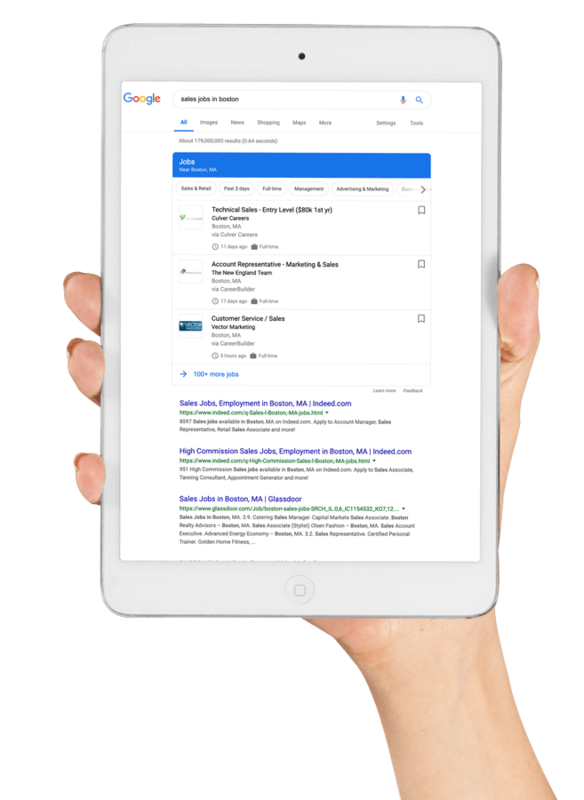 Google for Jobs is a search engine, not a job board. This requires that your job opening be in a defined scheme with 9 key attributes formatted in order to meet Google for Jobs requirements. 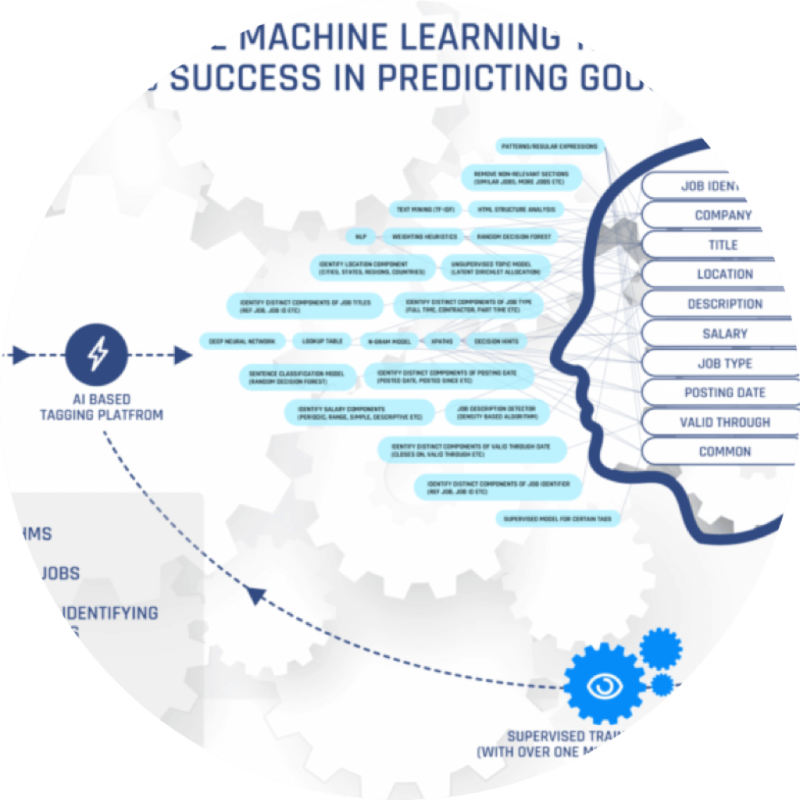 With Jobiak's Machine Learning algorithms identifying the 9 attributes for you, optimizing their performance and adding the code needed to each job, your openings will be easily indexed by Google for Jobs and delivered to all relevant searches. Jobiak offers a highly scalable solution that can work with a single job description or over hundreds of job postings daily. We have designed two paths for our customers to follow, based on the volume of their open positions monthly. Applying for a position on Google for Jobs can be confusing for candidates. Over 80% of the jobs are posted by 3rd party job boards. This creates an application flow that brings your candidate through a multi-page, multi-click and multi-brand experience that 9 out of 10 times costs you the candidate. 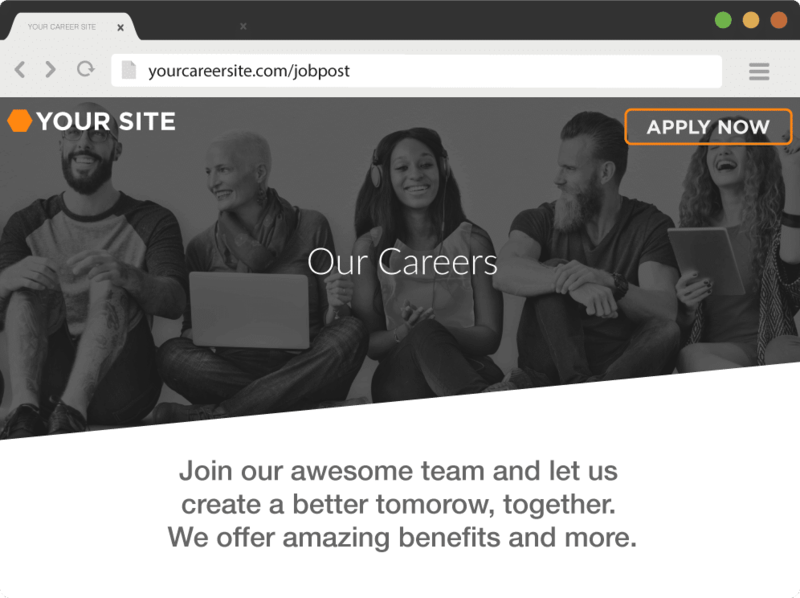 Jobiak fixes this by branding the apply button with your employer name ahead of the 3rd party sites. 64% of candidates prefer to apply on the employer Career Site itself. Many postings on Google for Jobs requires candidates to visit to a 3rd party site prior to applying which translates into a horrible start of the candidate experience. Jobiak eliminates this step and brings candidates directly back to your career site for the fastest, and easiest path to apply possible.